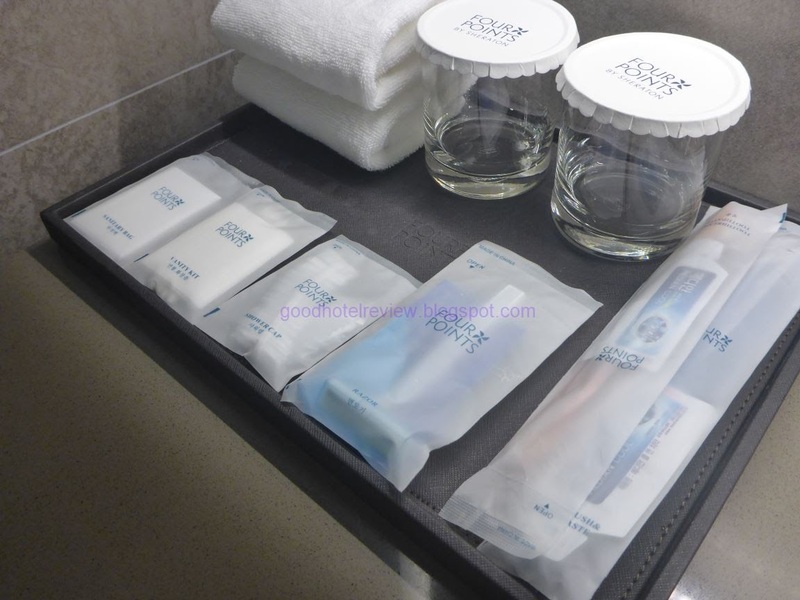 GoodHotelReview: Four Points by Sheraton Namsan, Seoul: Great Value for Money! 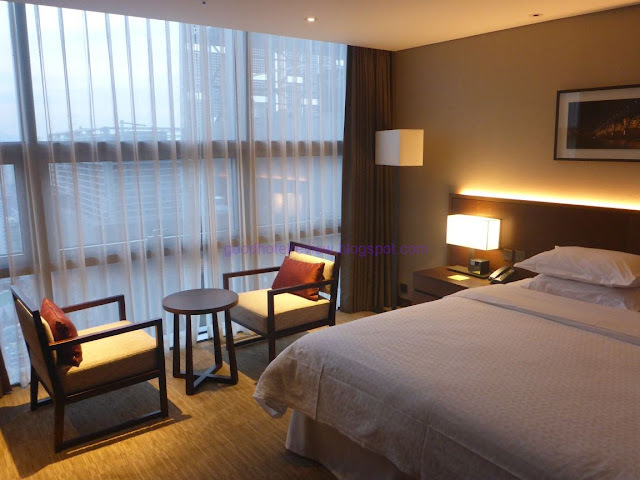 Four Points by Sheraton Namsan, Seoul: Great Value for Money! A Great Value for Money! This would probably be the shortest review ever on this blog. I was not planning to write something for this hotel as I merely used it for single nights in Seoul. However, I now think it is a wonderful place to stay for specific reasons and it does deserve a mention. The hotel is located within walking distance of the central Seoul train station and is connected underground which is mostly sheltered. The Seoul station connects the many trains, subways, as well as the Airport Express from Incheon Airport. 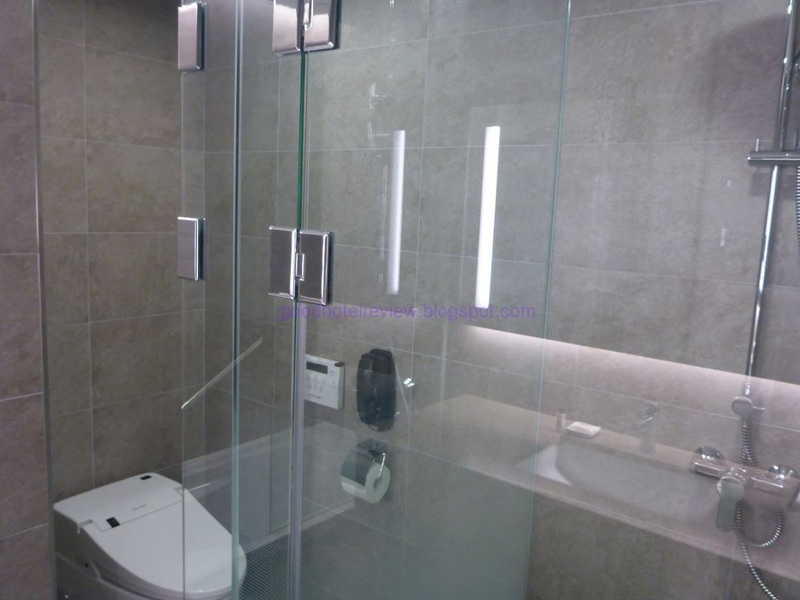 This allows very easy access and was the reason I stayed at the hotel for the start and end of my trips to Seoul. 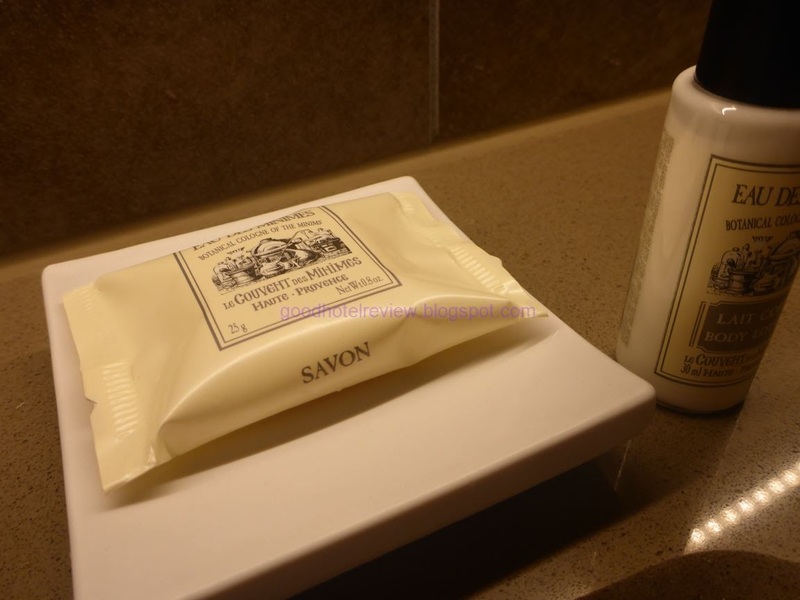 Four Points by Sheraton is, unsurprisingly, a brand under Starwood Hotels, catered to the budget traveler. As such, I was not expecting much (in terms of luxury) from my stays here. The hotel is located on the upper floors of a commercial building which was still quite empty during my stays. Indeed, the first room I had was the basic room and it was very tiny. European-size small and the bed was right next to the wall. A complimentary upgrade put me in a deluxe room and the size was way better. There was even some space for the 2 chairs pictured below. 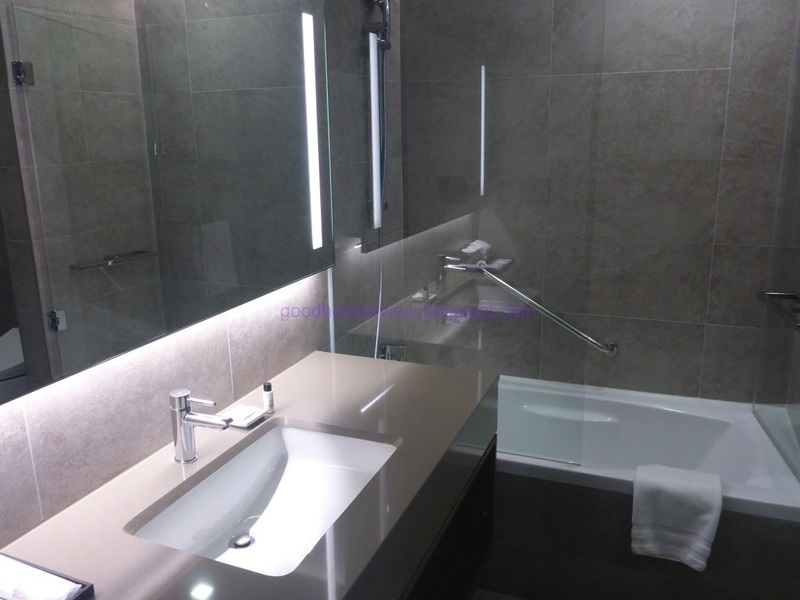 The bathroom was definitely bigger than expected and the hotel managed to put in a bathtub and a separate shower. The bathroom amenities were better in the deluxe room as well. The view was not too bad as the hotel is on the upper floors of the building. 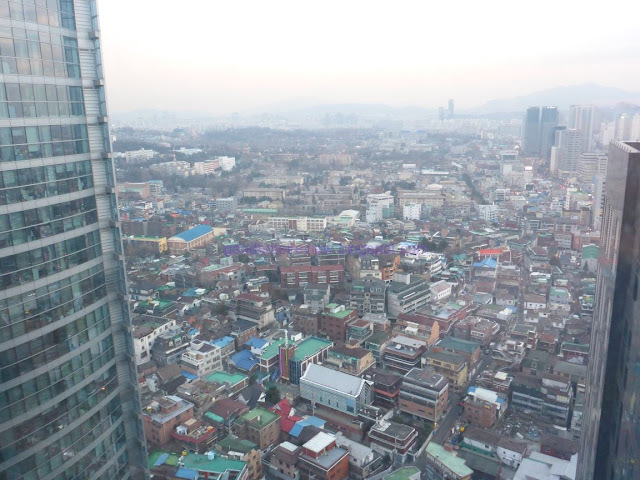 Depending on the location of the room, one can have a view of the Seoul station and even the Seoul Tower which is also at Namsan, albeit a small distance away. What was really good was the availability of a complimentary shuttle with a few routes at different times, including a stop at Myeong-dong. Take note there is no shuttle on Sundays at the point of writing. The standard of the breakfast was also acceptable for a budget hotel. I apologize for the lack of pictures. Food is also easily available at the Seoul Station which, as mentioned, is only a short walk away. The staff were very competent, most of them fluent in English and are fast workers. There was hardly any queue at the front desk. 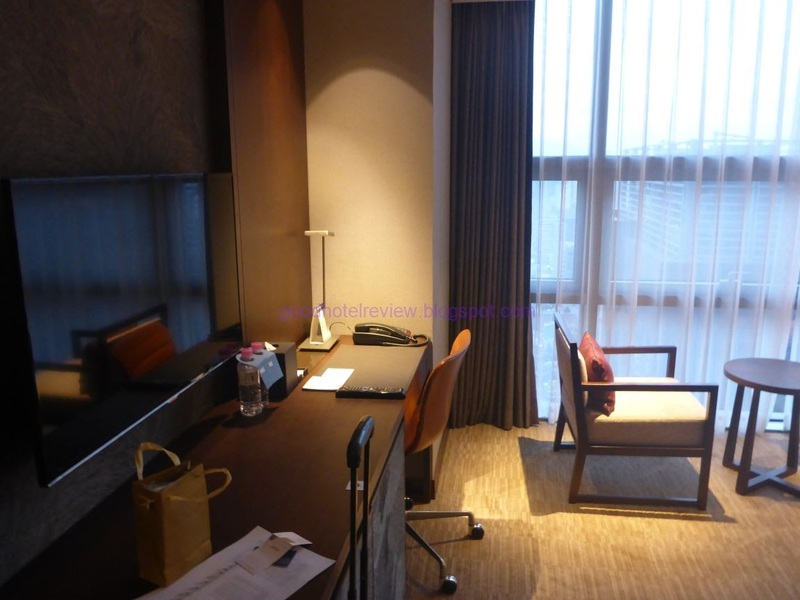 The room rates are very reasonable, priced well below SGD$200 for my stays. A new and clean hotel with great rates and good service. 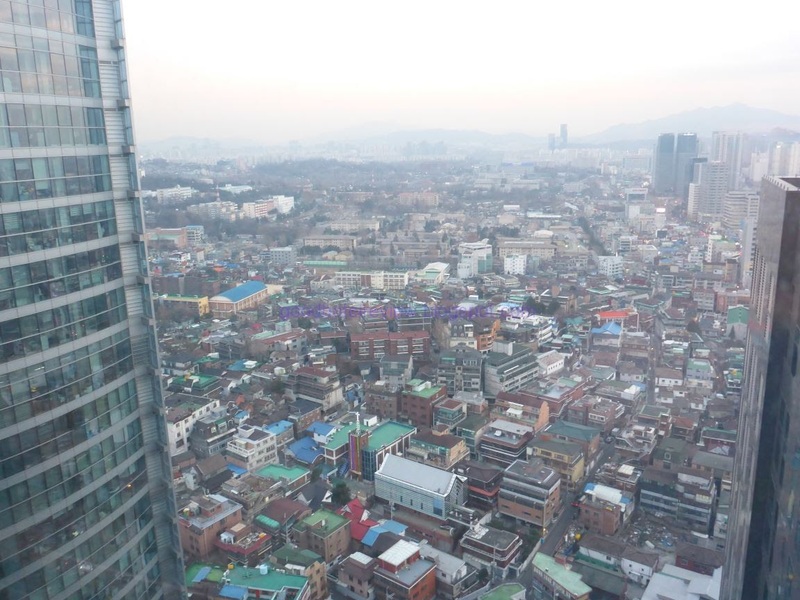 The proximity to the Seoul station would be perfect for day-trips to other parts of South Korea via the trains. I really cannot think of anything to fault the hotel, but to share a tip that one should book the bigger deluxe rooms for a more comfortable stay if one is spending more nights here.